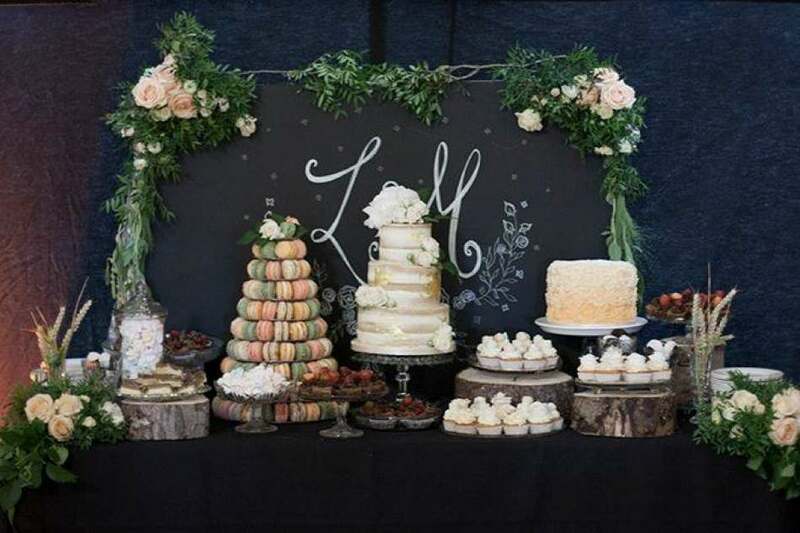 Take me to the Cakes! 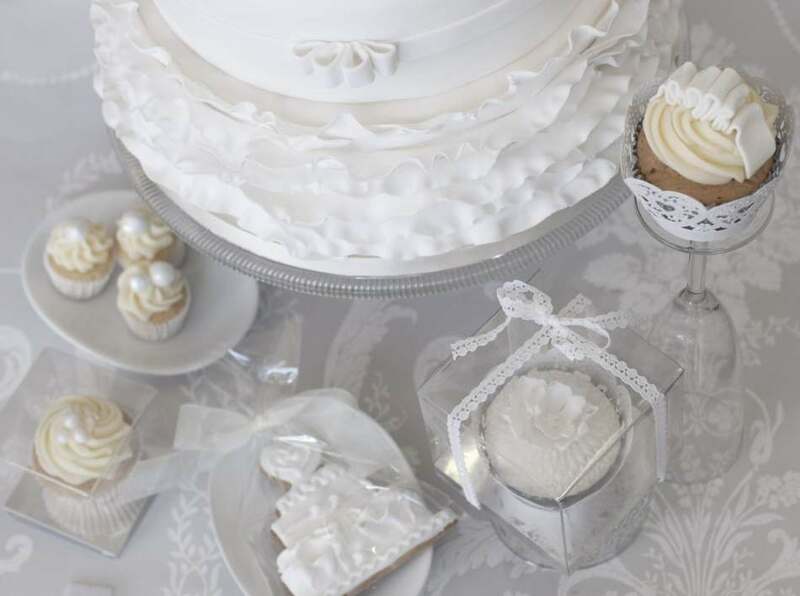 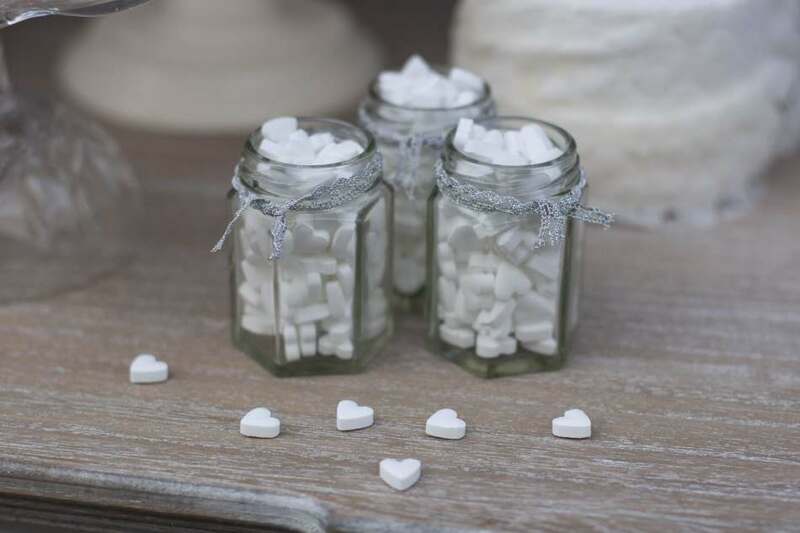 Book a complimentary consultation to discuss ideas for your sweetie table or wedding favours. 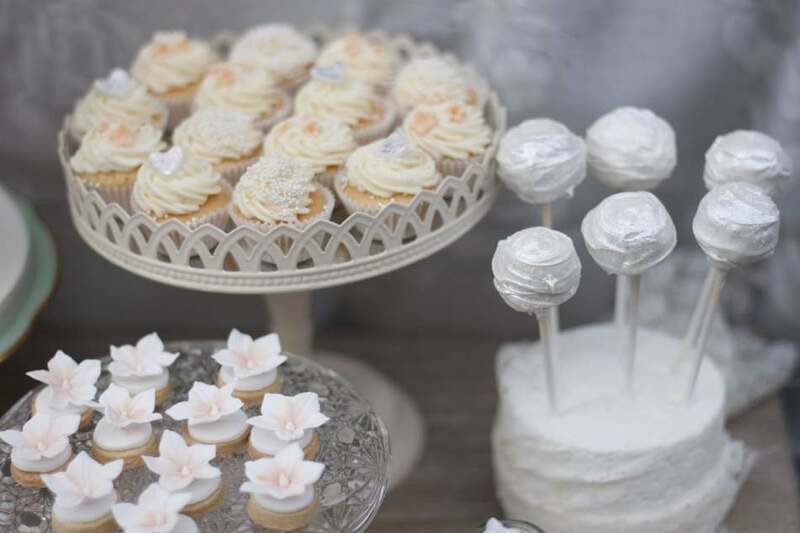 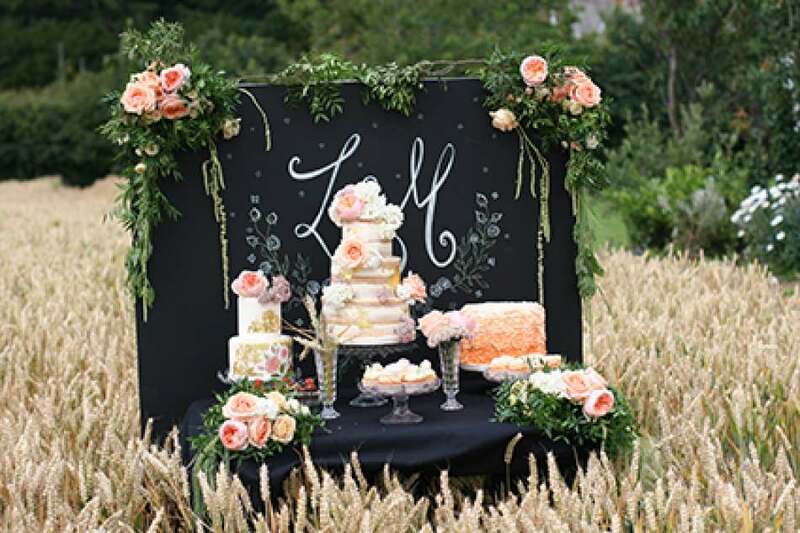 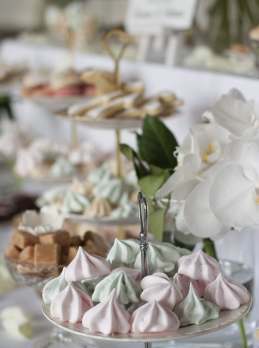 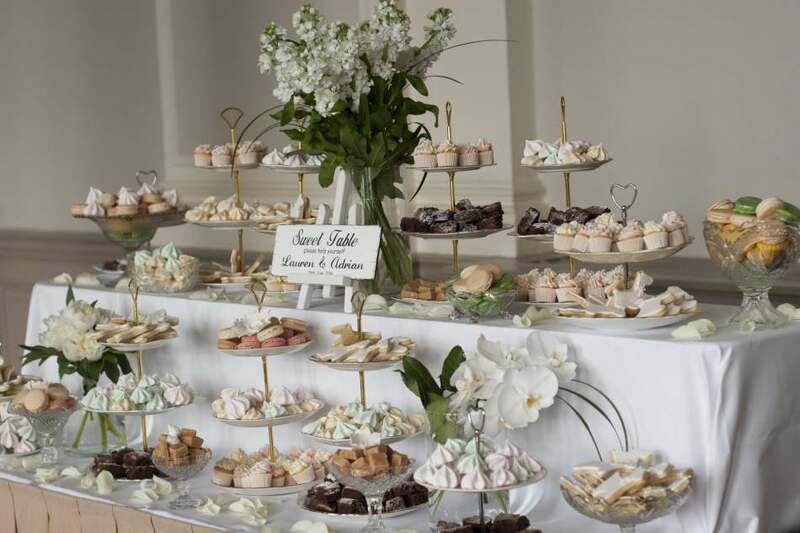 Our Sweetie tables are the ideal way to treat your guests throughout your evening reception. 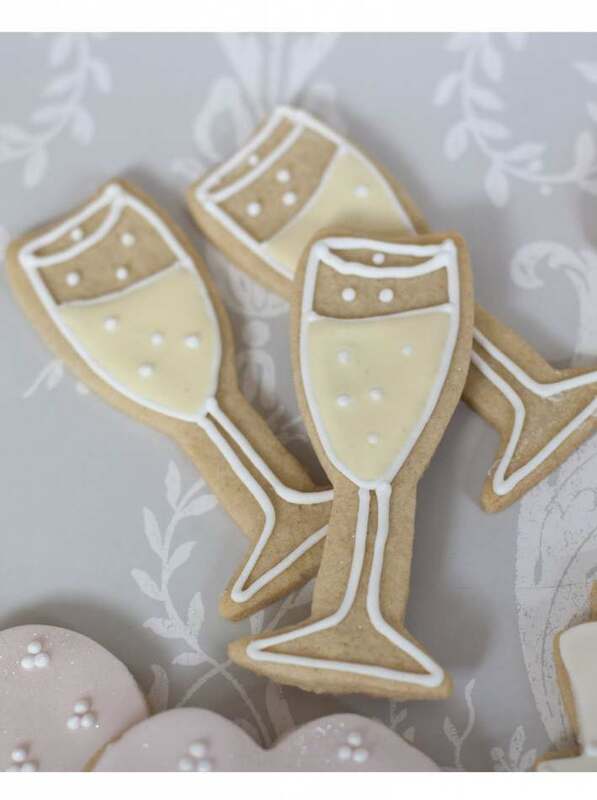 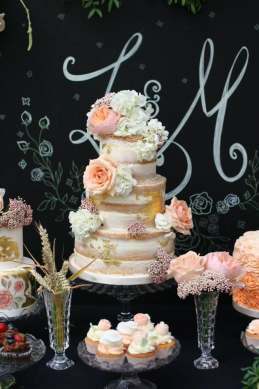 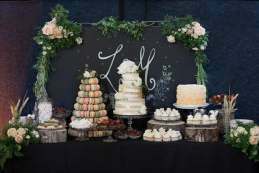 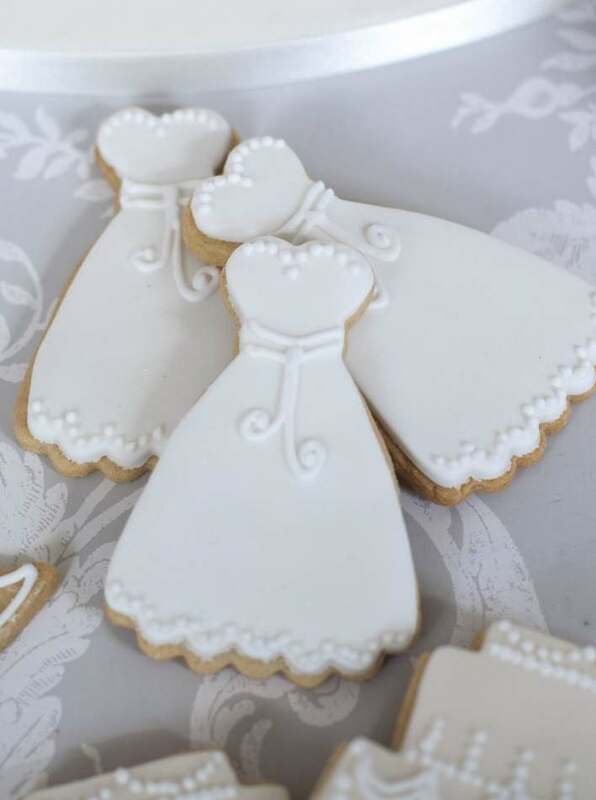 Beautifully displayed to be a real centrepiece at your wedding, all our treats are handmade and taste as lovely as they look. 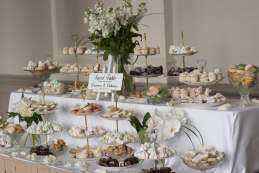 With a huge selection of treats to choose from, we would be happy to recommend a selection based on your guest requirements. 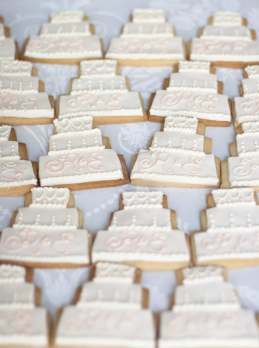 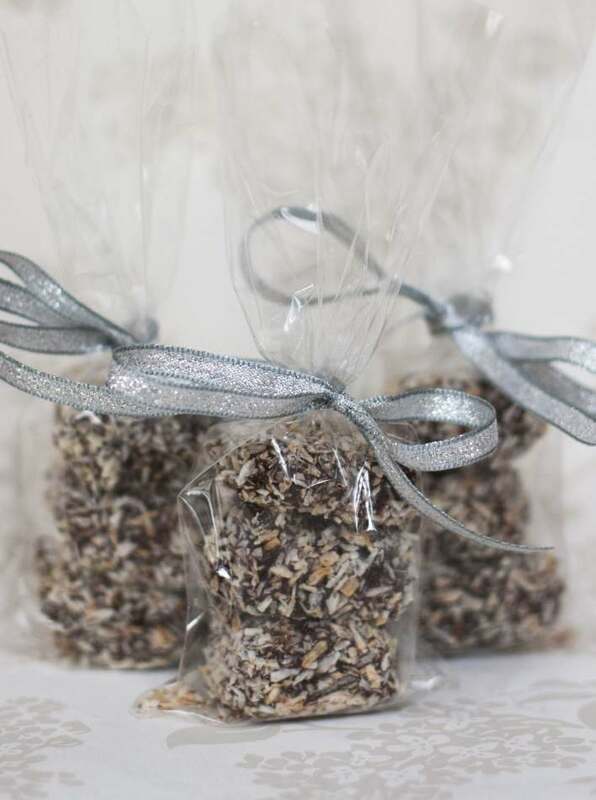 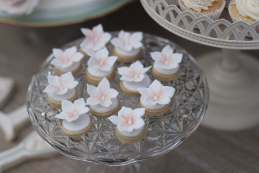 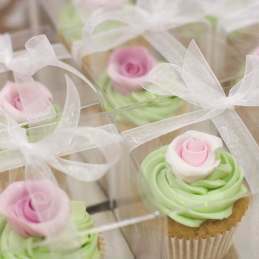 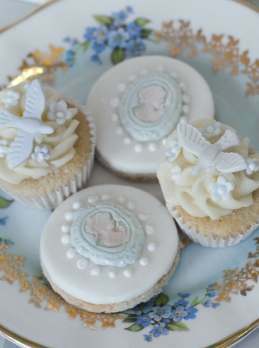 Why not delight your guests with handmade and delicious wedding favours. 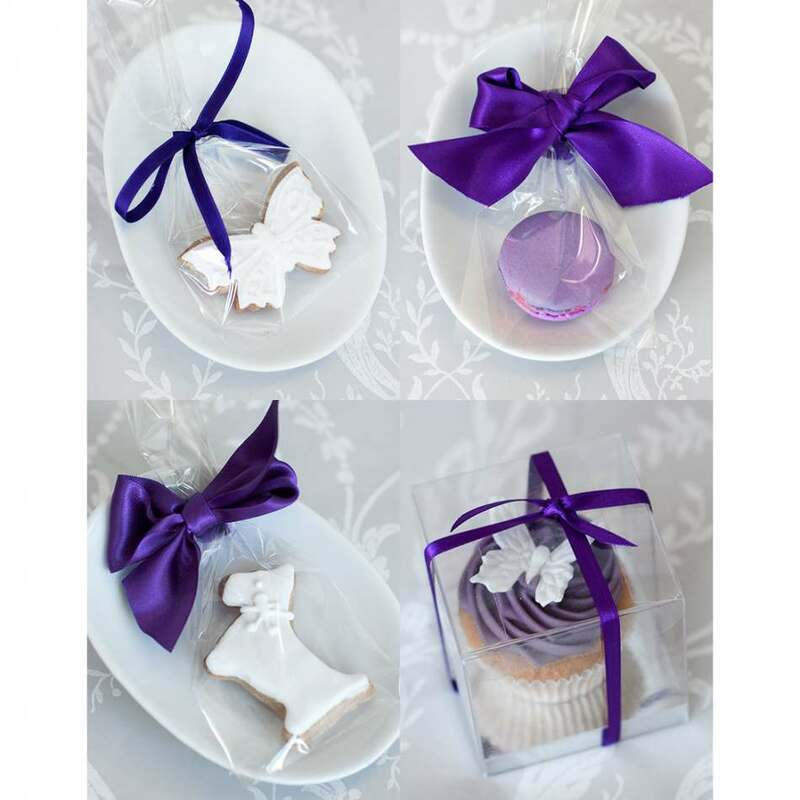 Our range of Scottish shortbread cookies come in a huge selection of styles and designs and can be customised to fit perfectly with your day. 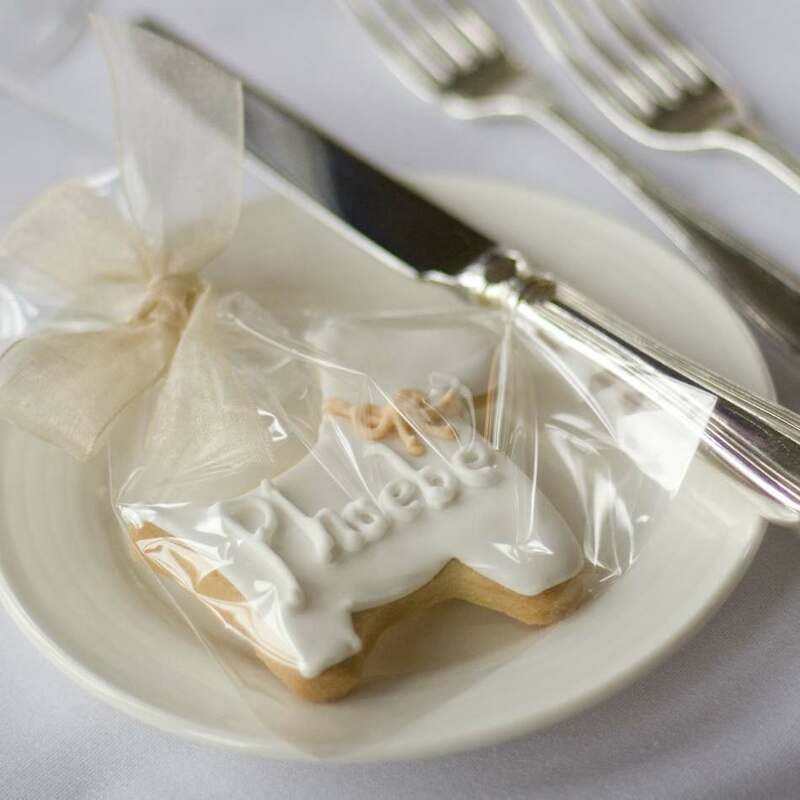 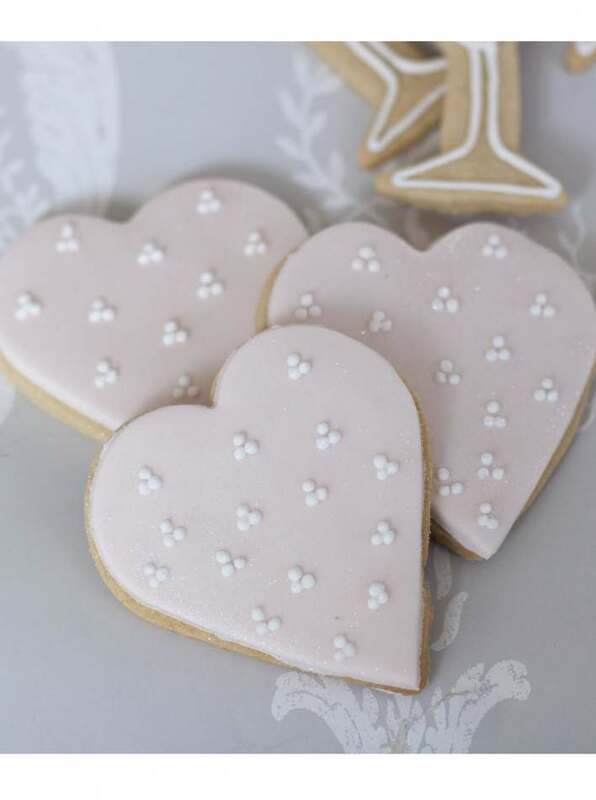 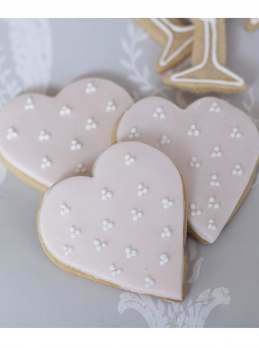 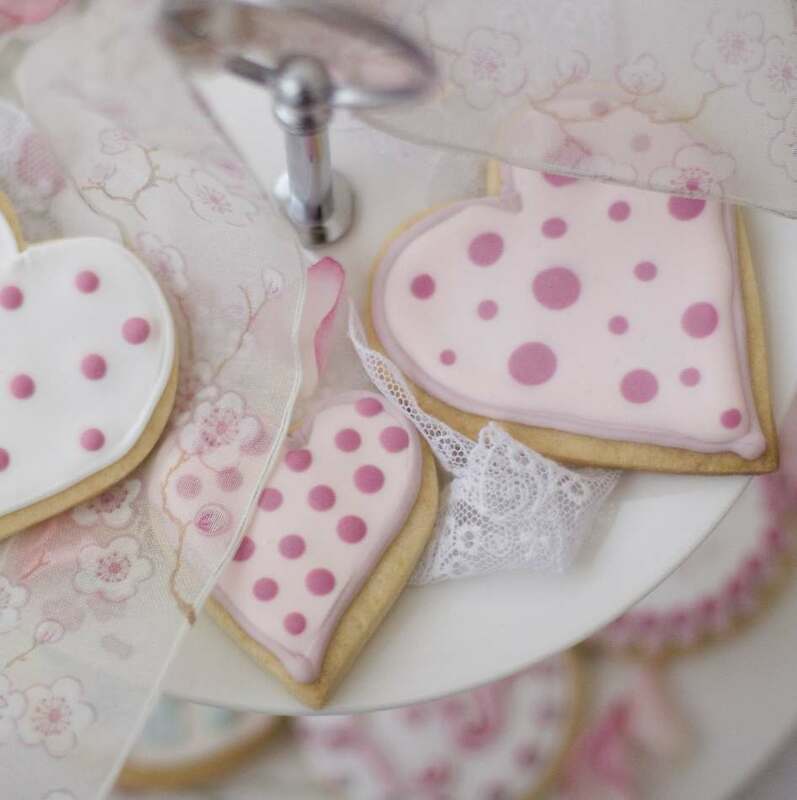 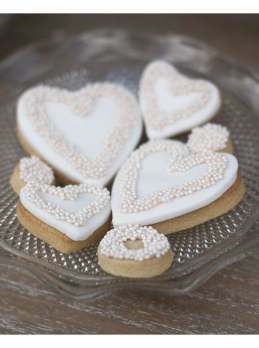 From our ever popular "scottie dog shortbread" to simple monogrammed sugar hearts, we can provide the perfect finishing touch for your place settings. All our favours are beautifully packaged in boxes or crisp cello bags and finished with your your selection of satin ribbon.